Here is a painting that I finished recently. I was thinking of my daughter and that Mother’s Day will be here soon. I have been working on a new website dedicated to just my paintings. It is coming together and it is almost finished. I am so excited about it! I will post a link when I get it done. 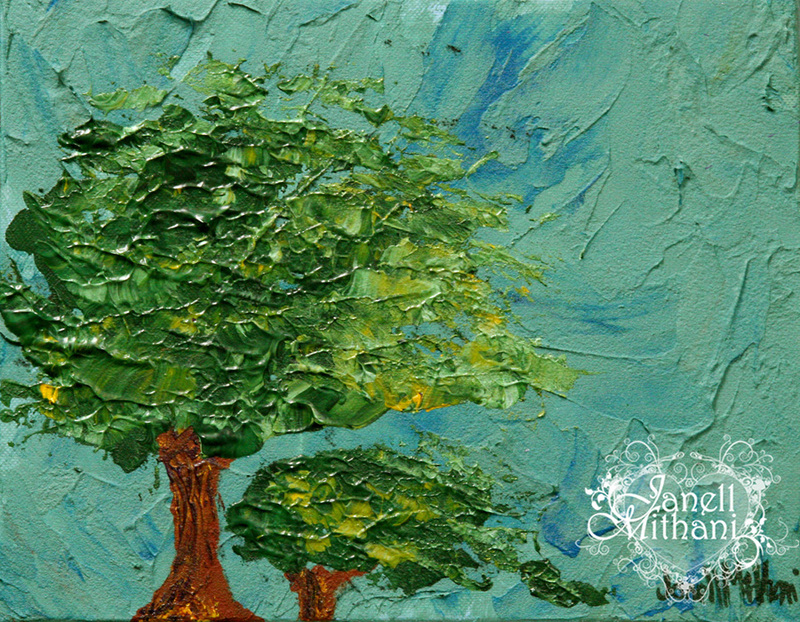 This entry was posted in Janell's Artwork and tagged art, daughter, Janell, Mithani, mother, Mother's Day, painting, tree. Bookmark the permalink. You can actually see the wind! I love how you painted it.